The world-renowned artist and UNESCO Global Goodwill Ambassador Tan Dun, has made an indelible mark on the world’s music scene with a creative repertoire that spans the boundaries of classical music, multimedia performance, and Eastern and Western traditions. A winner of today’s most prestigious honors including the Grammy Award, Oscar/Academy Award, Grawemeyer Award, Bach Prize, Shostakovich Award, and most recently Italy’s Golden Lion Award for Lifetime Achievement, Tan Dun’s music has been played throughout the world by leading orchestras, opera houses, international festivals, and on radio and television. This past year, Tan Dun conducted the grand opening celebration of Disneyland Shanghai which was broadcast to a record-breaking audience worldwide. As a conductor of innovative programs around the world, Tan Dun has led the China tours of the Mahler Chamber Orchestra and Japan’s NHK Symphony Orchestra. His current season includes leading the NDR Radiophilharmonie in a five-city tour in Germany, as well as engagements with the London Symphony Orchestra and at the Venice Biennale. 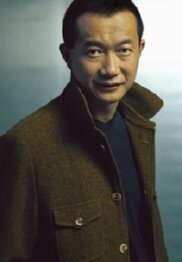 Tan Dun has led the world’s most esteemed orchestras, including the Royal Concertgebouw Orchestra, London Symphony Orchestra, the Philadelphia Orchestra, Metropolitan Opera Orchestra, Orchestre National de France, BBC Symphony Orchestra, Filarmonica della Scala, Sydney Symphony Orchestra, among others. Tan Dun’s individual voice has been heard widely by international audiences. His first Internet Symphony, which was commissioned by Google/YouTube, has reached over 23 million people online. His Organic Music Trilogy of Water, Paper and Ceramic has frequented major concert halls and festivals. His multimedia work, The Map, premiered by YoYo Ma and the Boston Symphony Orchestra, has toured more than 30 countries worldwide. Its manuscript has been collected by the Carnegie Hall Composers Gallery. His Orchestral Theatre IV: The Gate was premiered by Japan’s NHK Symphony Orchestra and crosses the cultural boundaries of Peking Opera, Western Opera and puppet theatre traditions. Other important premieres include Four Secret Roads of Marco Polo for the Berlin Philharmonic, Piano Concerto “The Fire” for Lang Lang and the New York Philharmonic. In recent seasons, his percussion concerto, The Tears of Nature, for soloist Martin Grubinger premiered in 2012 with the NDR Symphony Orchestra and Nu Shu: The Secret Songs of Women Symphony for 13 Microfilms, Harp and Orchestra was co-commissioned by The Philadelphia Orchestra, NHK Symphony Orchestra and the Royal Concertgebouw Orchestra Amsterdam. Tan Dun was also commissioned by the International Olympic Committee (IOC) to write the Logo Music and Award Ceremony Music for the Beijing 2008 Olympic Games. Tan Dun records for Sony Classical, Deutsche Grammophon, EMI, Opus Arte and Naxos. His recordings have garnered many accolades, including a Grammy Award (Crouching Tiger, Hidden Dragon) and nomination (The First Emperor; Marco Polo; Pipa Concerto), Japan’s Recording Academy Awards for Best Contemporary Music CD (Water Passion after St. Matthew) and the BBC’s Best Orchestral Album (Death and Fire). Tan Dun’s music is published by G. Schirmer, Inc and represented worldwide by the Music Sales Group of Classical Companies. For more information on Tan Dun, please visit www.tandun.com.